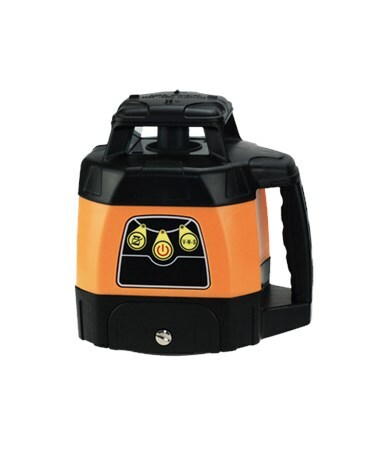 Designed for exterior use, this Johnson 40-6551 Electronic Self-Leveling Horizontal Rotary Laser is easy to set up. Featuring an electronic self-leveling within ±5 degrees, it is ideal for site preparation, excavating, landscaping-terracing and retaining walls, controlling concrete pours, alignment and plumb of concrete forms, leveling deck floors, establishing diagonals and footings for decks and patios, contour framing, and drainage. 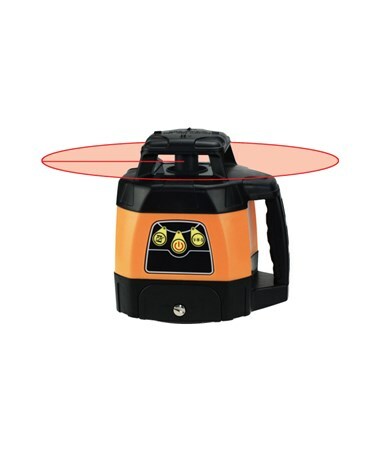 Offering an accuracy up to ±1/8 inch at 100 feet, it can operate an interior range up to 200 feet and an exterior range up to 2,000 feet with a laser receiver. 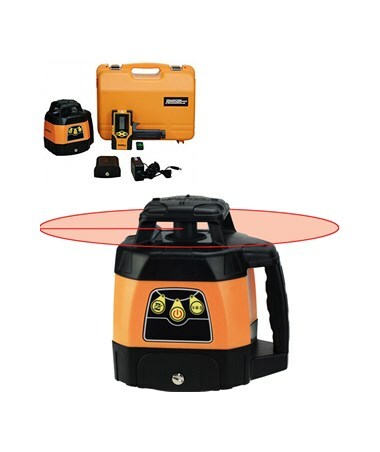 The Johnson Level 40-6551 rotary laser features an electronic self-leveling in the horizontal plane. 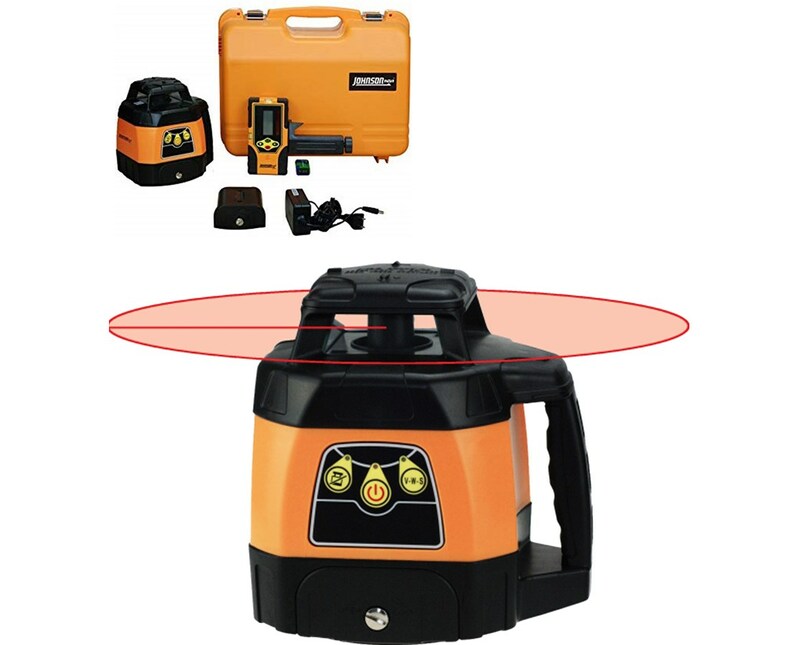 The vibrate mode ignores slight movements like windy conditions with this rotary laser level. Also, it comes with a tilt alarm function that ensures product accuracy. To improve reliability, it offers a rotation speed of 600 rotations per minute. Plus, it has visual and audible alarms when the instrument is beyond the leveling range. 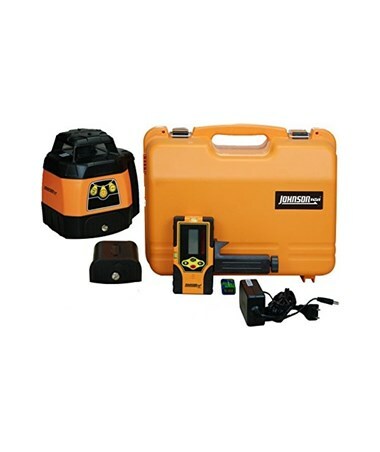 With an IP65 rating, this rotating laser is dustproof and water resistant. It can operate up to 24 hours with NiMH rechargeable battery and up to 36 hours with alkaline batteries (alkaline batteries sold separately). As an extra feature, it comes with a 5/8-11 thread screw that is compatible with most tripod brands. 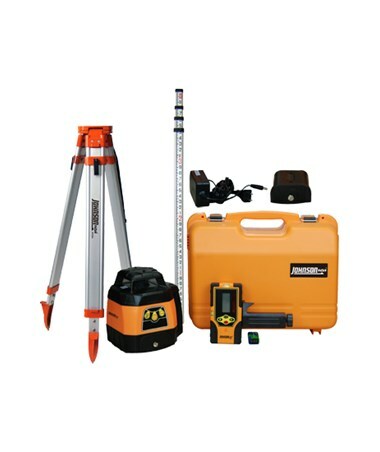 The Johnson 40-6551 Electronic Self-Leveling Horizontal Rotary Laser comes with two packages. Both are supported by a three-year manufacturer's warranty. Please select from the drop-down menu above. This package includes both aluminum tripod and 13-foot grade rod. The grade rod is used to determine differences in elevation and can be attached to a laser receiver. Also, the aluminum tripod is a portable three-legged frame that is used as a platform for supporting the rotary laser while doing leveling operation. Plus, it gives stability regardless of terrain. Horizontal ±1/8 inch at 100 ft.